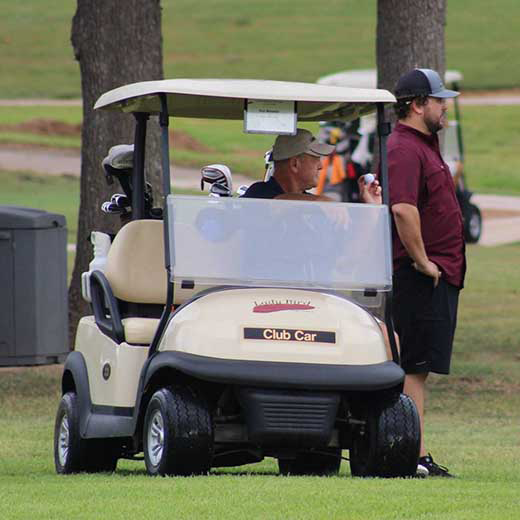 The history of this Golf Tournament began with four Texas Lions (Lions Mike Butler, Marshall Cooper, Bruce Rickert and Harry Wickersham) coming to the Annual Board meeting of Texas Lions Camp (TLC) in Kerrville to enjoy fellowship with each other. They all loved to play golf and so what began on a $10 per person gentlemen’s donation at the Flying L Ranch Golf Course in Bandera, Texas, has grown into a major FUNdraising event which generates more than $60,000 annually for children with special medical conditions. Other Lions heard about the golf outing and dozens joined in to play in subsequent years including Lion Ed Stebbins who was recruited to help organize the event into an annual fund-raising opportunity. 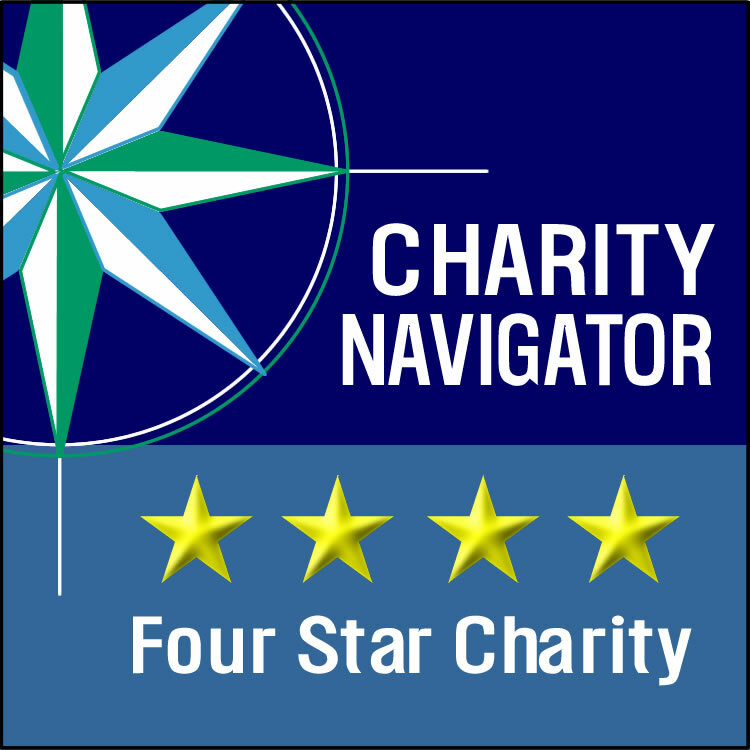 He made the original presentation to the TLC Board of Directors to make the Golf Tournament an annual fund-raising event as well as recommended that the event be named in honor of Lion Harry Wickersham (who was the real golfer in the original foursome). In addition, he recruited Lion Lester Frantzen and the Fredericksburg Lions Club to help organize and operate the tournament each year. Having successfull met the terms of the $75,000 challenge grant issued by James Avery Artisan Jewelry® during the 2018 tournament, total proceeds of the tournament now total $1,082,000. Clearly, this outstanding result has only been possible as a direct result of the dedicated efforts of so many devoted people over the past 25 years. Lions of Texas and friends of Lions celebrated achieving the $1 million milestone in net proceeds from the 25th Annual Harry Wickersham Golf Tournament in August 2018. James Avery Artisan Jewelry® has issued a $100,000 challenge grant in honor of the 70th Anniversary year of Texas Lions Camp in 2019 and in support of the 26th Annual Harry Wickersham Golf Tournament to be held on August 1, 2019 at Lady Bird Johnson Golf Course in Fredericksburg. Every gift designated for the event will be matched dollar for dollar up to $100,000. With this challenge, James Avery Artisan Jewelry® has also been named the Title Sponsor for the 2019 tournament. 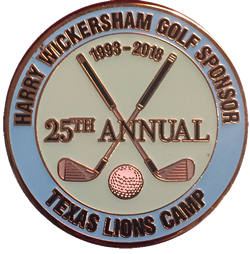 “Texas Lions Camp is honored that James Avery Artisan Jewelry® has again honored our organization and mission by offering this challenging and generous opportunity as well as taking a leadership role as the Title Sponsor of the Wickersham Tourney," said President & CEO of TLC, Stephen S. Mabry, CAE. James Avery is a vertically integrated, family owned company located in the heart of the Texas Hill Country. They offer finely crafted jewelry designs for men and women in sterling silver, 14K and 18K gold, gemstones and leather wallets – designed by their own skilled artisans in Kerrville, Texas. The company is a multi-channel retailer with more than 80 James Avery stores in five states. James Avery jewelry is also available in more than 215 Dillard’s stores in Texas and in 28 additional states; and nationwide through JamesAvery.com. James Avery creates their unique jewelry in four Texas workshops — in Comfort, Fredericksburg, Hondo and Kerrville. For more information, visit JamesAvery.com or facebook.com/JamesAvery. For more information about individual (hole) sponsorship or corporate sponsorship opportunities, please contact Milton Dare. 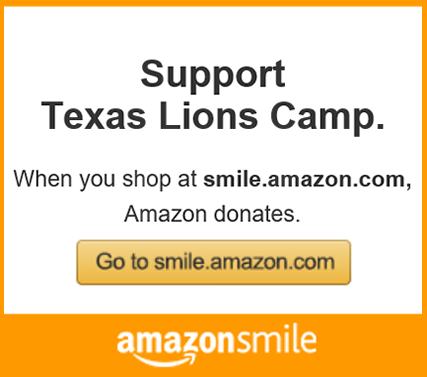 Every dollar raised benefits the Texas Lions Camp and translates to children being served. Individuals and Clubs may purchase a hole-sponsorship for the low, low price of $100. Our valued hole sponsors will be featured on a sign by Lions District (lions membership not required) that will be placed on a tee-box during the event. Sponsors will also be listed here on the website. To View a listing of our valued hole-sponsor for 2019, please click here.